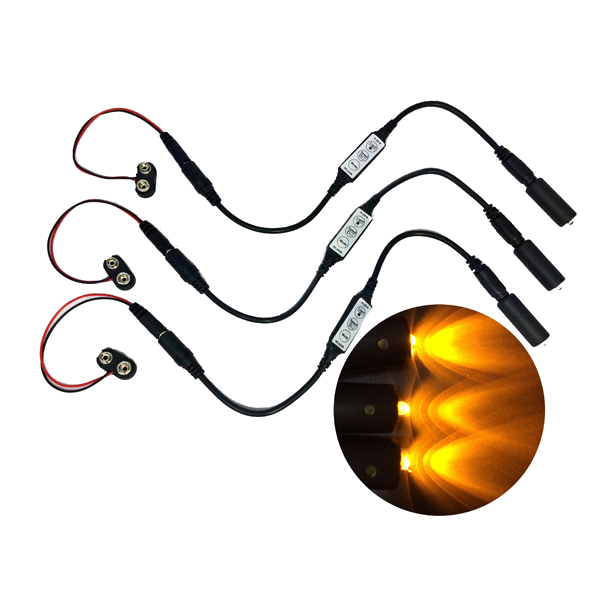 The Prop and Scenery Lights ember orange 1,000 Kelvin LED bulb effects kit is used for fire simulation of burning coals and embers. 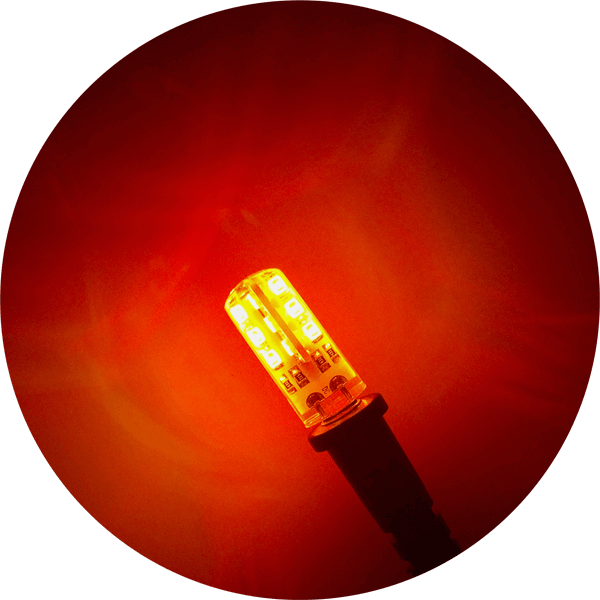 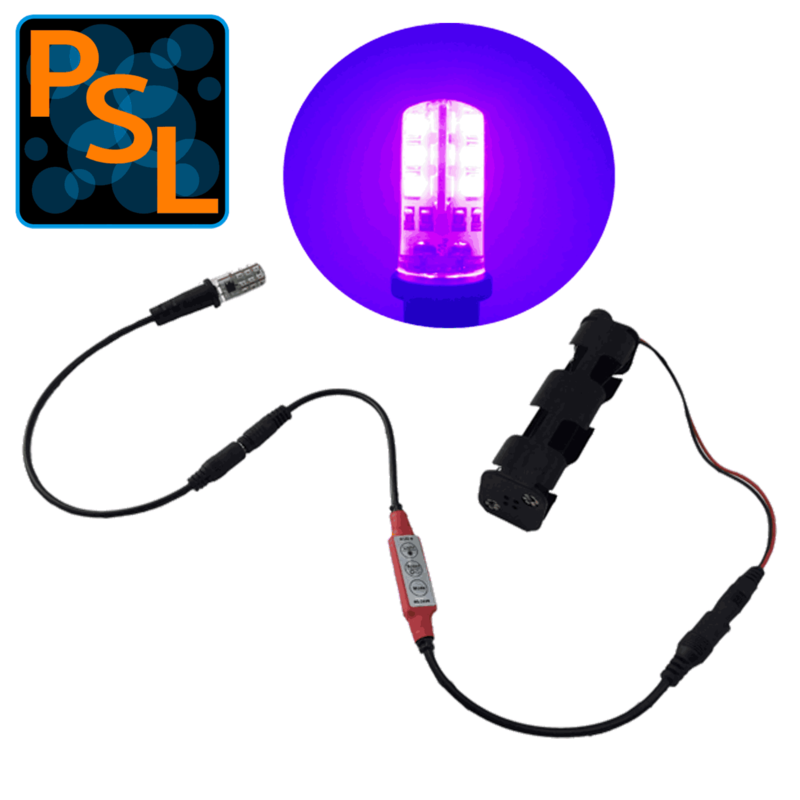 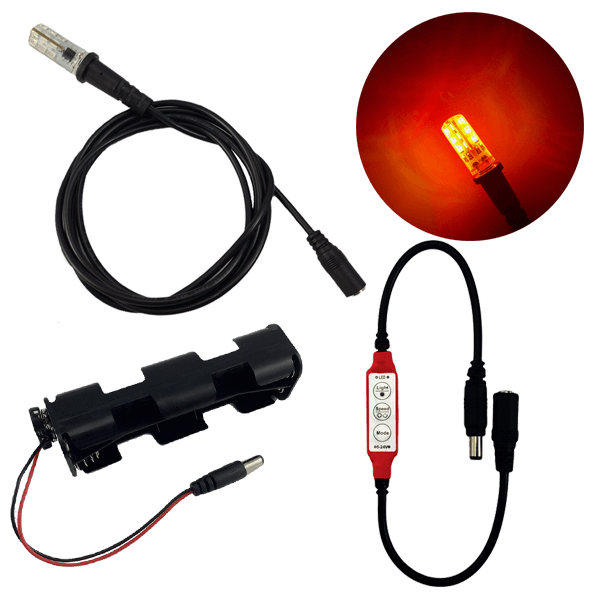 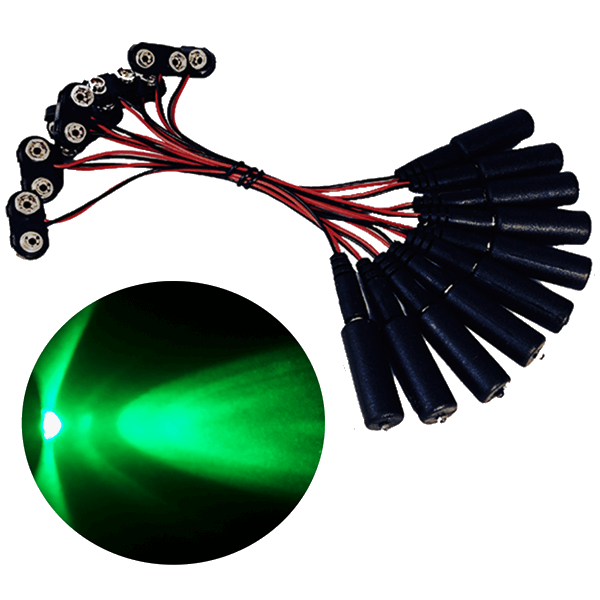 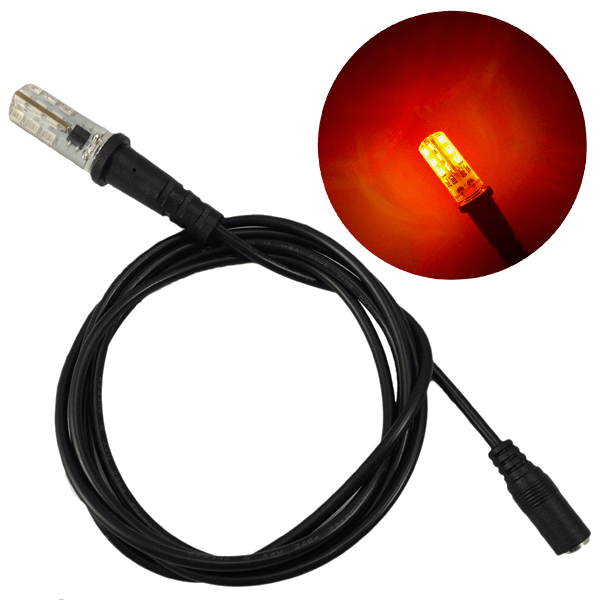 This kit has a long 1.5 meter (59”) cable socket length used to extend the LED light away from the flicker control and battery pack. 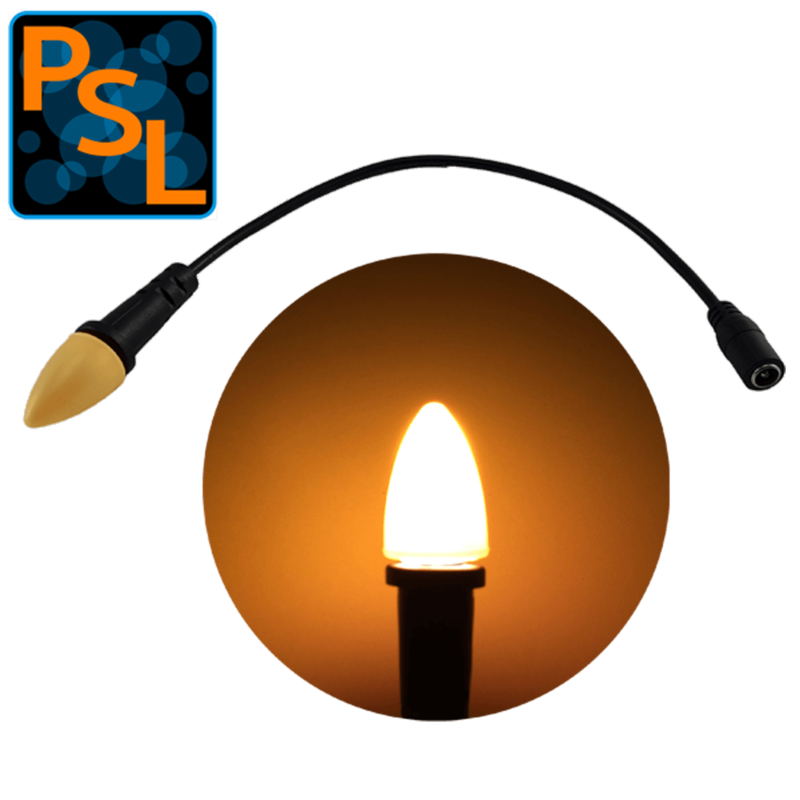 The overall length from the bulb end to cable end of the assembly (EEL1-1.5M-SBL2-EO) is 5 feet nominal. 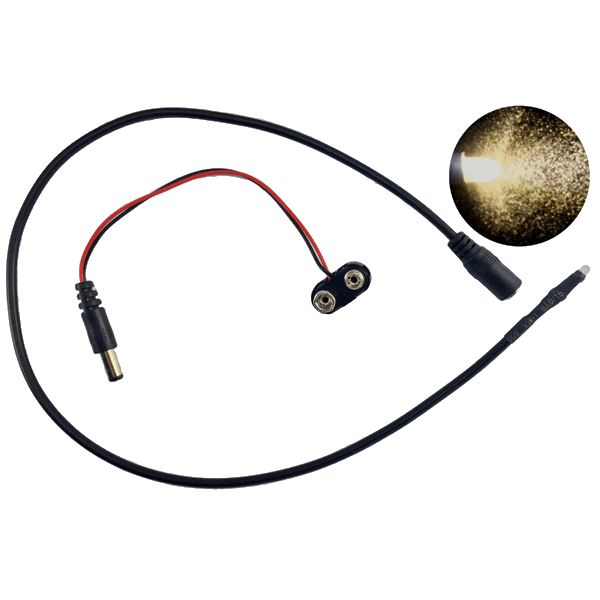 The kit contains a 6 mode flicker effects control (FEC1) and an 8 AA cell battery holder with a mating DC barrel connector (BHC1-8AA-12V). 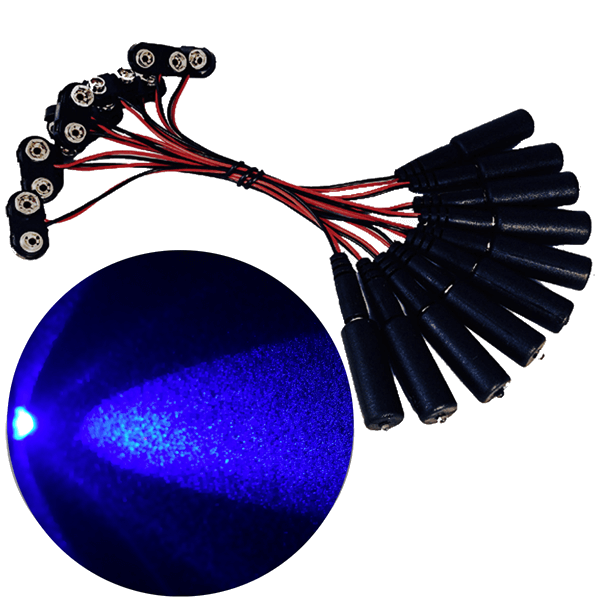 The battery pack provides 12 volts DC to the flicker control and LED light. 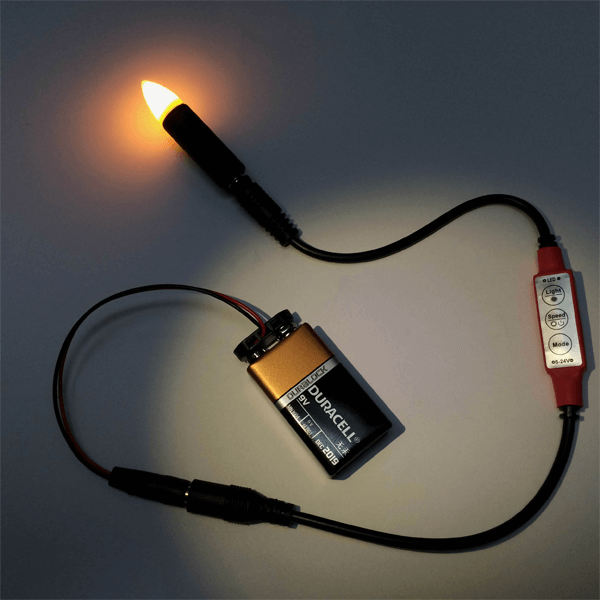 The long cable length allows for remotely locating the flicker control and batteries away from the simulated fire prop. 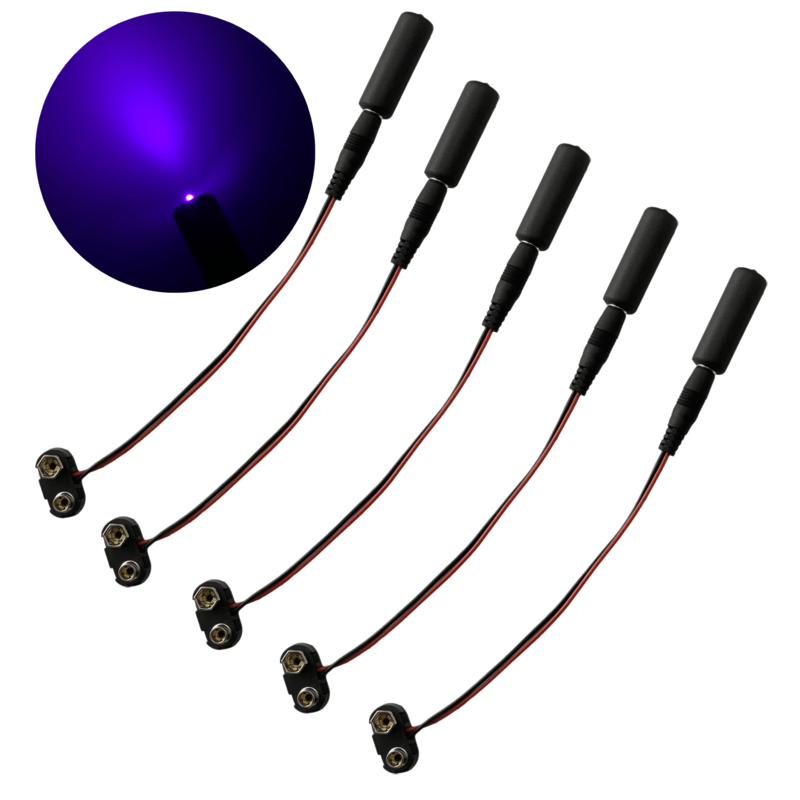 Common uses for these kits are: prop campfires, theatrical scenery, faux fireplaces, prop torch flames, fake burning coals, and themed entertainment projects. 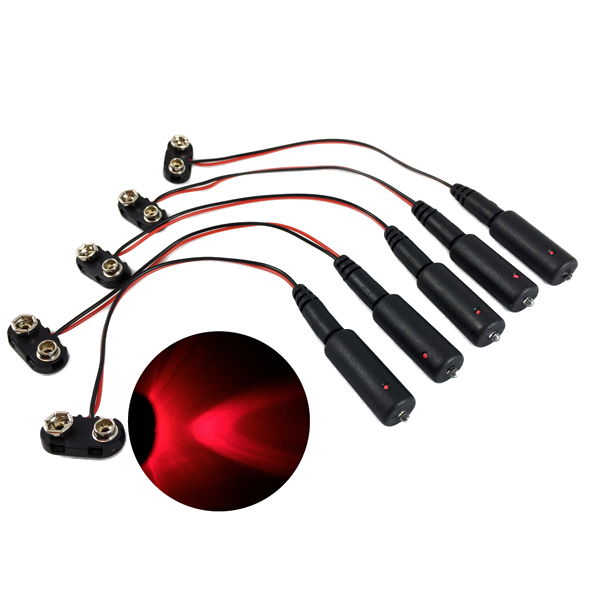 The FEC1 flicker effects control provides 6 different effects modes and the control provides 10 flicker speed steps.